Northampton Town manager Chris Wilder praised his team's effort as they came from behind to beat Stevenage. The Cobblers fought back from 1-0 down to win 2-1, despite losing defender Shaun Brisley to injury early on. 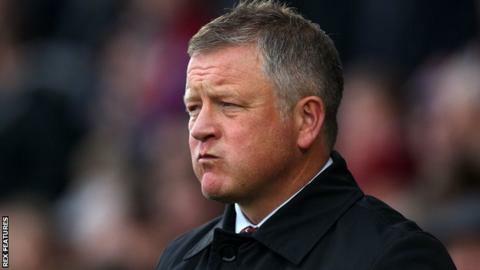 "This is football, you're not always at your best and it's how you react to the dip you're in to dig yourself out," Wilder told BBC Radio Northampton. "We don't like going behind, especially at home but we've done it and our fitness and energy levels were good." Brisley limped off after just 10 minutes on Saturday, joining fellow centre-back Ryan Cresswell on the Cobblers' injury list. "We had to make another change at centre-half and that's difficult with a settled back four," added Wilder. "Ryan Cresswell and Shaun have been outstanding and now I've lost them both." With the team performing well in the face of the club's off-field financial issues, Wilder admires the way his side have coped. He continued: "I've got nothing but praise and admiration for the group with the way they're going about their business, as well as the whole club with the way they're handling everything. "We've got a good group there, even the lads that are not involved and we are all really behind each other."